which prop firm are you using?? I have similar offer from one European trader who uses Vantage FX for his trading. He makes decent money and if you sign up through him you will get RAW ECN spreads and only $4.30 RT coms instead $6 RT. Hi, which prop firm are you using?? I have similar offer from one European trader who uses Vantage FX for his trading. He makes decent money and if you sign up through him you will get RAW ECN spreads and only $4.30 RT coms instead $6 RT. Vantage FX have $3.00 each way commissions for regular Joes like me. Heck I thought that was cheap! [B]Vantage FX have $3.00 each way commissions[/B] for regular Joes like me. Heck I thought that was cheap! Vantage FX offering $3.00 commissions ($6.00 round turn) on their ECN trading account is quality. Australian regulated forex brokers are some of the trustworthy few in an industry of charlatans. My question is how cheap do some of the dodgy brokers that call themselves ‘ECN’ actually go when it comes to commissions round turn? What is an acceptable cost for traders to pay? ASIC regulation at work. They don’t accept garbage like this and squash it quick smart. I’ll trade with someone who offers a data feed compatible with Metastock Pro ! I keep searching but cant find anyone who does thought it confuses me as to why this is, they all have Metatrader , big deal ! I wish to use the other not be told what i can and cannot use in terms of software, i wish to lose money on my own terms. Recently moved a larger portion of my business across to Vantage FX and wanted to vouch for the direction their business is heading. Respect. I’m with Vantage too and $6 is about as cheap as ECN gets (unless you’re referred through a rebate program or something). It doesn’t seem like much the $1 difference but anyone who’s ever back tested an EA before knows every point matters in the long run. Yeah I don’t thing any other ASIC brokers do commissions as cheap as Vantage … and you’re right JayTee every point matters! Metastock is for stocks - it’s not designed for forex. No forex only broker offers it. You don’t like the MT4 platform? Metastock is for forex as well, i’ve used the metastock pro fx . Metastock realtime is exactly that, a charting platform that runs in realtime, data is data, metastock doesn’t know what the data is as does any other software its just prices and your platform makes it into a chart of what you set, line, bar, candle whatever you want. No i dont like mt4, i like metastock. Seems to me maybe Metastock actually does give you an edge ? maybe thats why no one wants you to use it ? Brokers should offer compatible data for whatever platform you choose to use, as customers why should we be told what we are allowed to use and what we cant unless brkers are casinos who want to put the odds in favor of the house ? and the data should be free, people who bet on horses get to listen to the races live on radio for free and bet with who ever they wish, if brokers want our business then they should give us what we want to run our programs and trade our own way, it annoys me that we can only use the charts that our broker provides, WHY ? because perhaps they have algorithms to run them , who knows, it shouldn’t be a big deal for a broker to have a data feed for different programs so customers can have a choice. Hahaha I don’t know about that buddy but they are a great broker! I’m confused you say you can’t find a broker that offers it but then you say you’ve used it for FX? I’ve only ever heard equity guys mention Metastock. Brokers have to pay for their platforms, which is why a lot of brokers don’t bother with MT5 and why you’re not likely to find an FX broker that offers metastock … at end of day it’s just a platform and has very little effect on your ability to make/lose money … finding a good broker like vantage with low spreads and cheap commissions and trading a winning strategy with discipline is much more important. Metastock pro fx was a bundle i tried from them, the data was part of the package from Reuters data, this is the reason i say this as getting data from another source doesn’t match up with the data you get from your broker. I would have the Metastock window open and also my brokers deal ticket, the prices were different so cant be used but if you were getting the data from the broker then it would be the same. 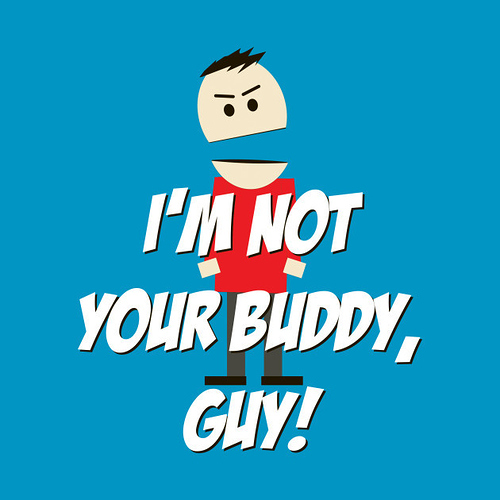 Hey I’m not your guy, buddy! Fair enough. What exactly don’t you like about the MT4 platform? I think MT4’s great, it’s a little ‘raw’ but I kind of enjoy that 1980s feel … plus Vantage’s smart trader tools and news terminal are really handy. Haha we probably shouldn’t get into the whole buddy/guy thing … could go off topic very fast … I don’t use smart trader tools but the free news terminal is [U]AWESOME[/U]! Definitely not. Yeah I agree JayTee - news terminal is great. Can you still trade with Vantage? I heard a lot of brokers have stopped accepting NZ clients? Hey Badem, yeah I’m not sure what’s going on it’s really strange - I had an old account with IC that was shut recently - it’s weird because I haven’t actually heard any news about changes to regulations or anything. No troubles with Vantage though. From my experience it’s the NZ brokers that should be banned not the Australian ones!